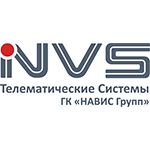 NVS Telematic Systems is Russian company founded in 2011 as an affiliate company of “KB NAVIS”. Company profile covers the development, manufacture, distribution and maintenance of navigation equipment. Company solutions are used in such industries as oil and gas, logistics and agriculture, bus and taxi services. NVS partners operate in various regions of the Russian Federation. The chart below shows the changes within the last 30 days in the number units of NVS Telematics Systems devices type are connected to Wialon Data Center.